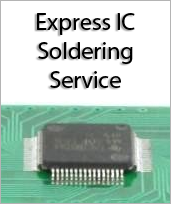 Accepts SOIC Narrow and Wide packages (300mil and 600mil) of 4 to 28 pins and SOP packages of 4 to 28 pins. Has through holes for two 14 pin 0.1" pitch headers spaced 0.7" apart. 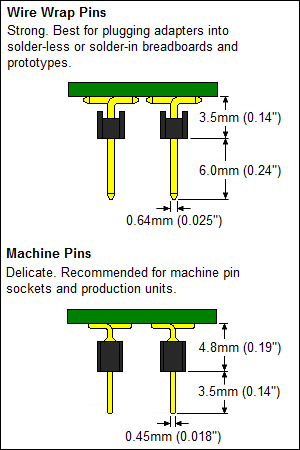 Board dimensions are 20.32mm x 35.56mm (0.8" x 1.4").